ASK YOUR AGENT how long he or she has been in the business. Many newer agents have no idea how to help move a property in a sluggish market; they got licensed and made some easy money in the boom years and think all you have to do is put the listing in the computer and put a sign in the yard and collect their commission. My 22 years of experience means that I have experienced ALL aspects of changing markets, not just the easy money of 2001-2005. I also always have an inventory of qualified buyers looking for properties -- yours might be just the thing they've been searching for. Any real estate discussions with me are held in strictest confidence until YOU decide you are ready to place your house on the market. Confidentiality and integrity are of utmost importance in my business principles. Armfield Miller & Ripley Fine Properties LLC merged with Washington Fine Properties in the District, which gives the company access to a wide pool of national and international buyers of fine properties. My own extensive network of contacts both locally and in the Washington D.C. metro area ensures the widest range of exposure to active buyers. From the comparable market analysis (similar to an appraisal--I use the same information a licensed bank appraiser does) to advertising and marketing plans, I can help you get the most money possible in the shortest amount of time, for your property. Your Pets--they are important to me, too! This is the country, people have pets and livestock. Ask me for references from my pet owning sellers, no gate left open, no dogs or cats allowed to escape into or outside of where the owner wants them. Spring Special...FREE HOME SELLERS' WARRANTY! Your home, guaranteed....for a limited time, I am offering a FREE 2-10 Homebuyers' Warranty including sellers' coverage. The warranty covers all major appliances including heating and air conditioning, and any repairs needed for all major systems for a full year for the new owner. You as the seller receive coverage as well during the time your house is listed with me until closing, when the warranty will transfer to the new owner for a full year. You save, and I can guarantee your home to prospective buyers, who love the reassurance of the warranty. 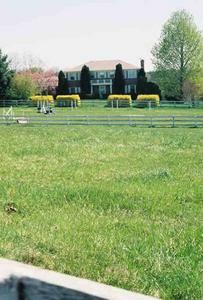 this small horse farm is a jewel privately situated in prime horse country on the DC side of Warrenton. 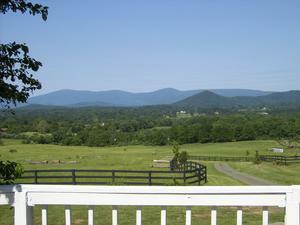 Unbelievable setting for this small horse farm in a premiere, close in location of Fauquier County. All 5+ acres are open and useable lush fenced pasture but there is a perimeter of trees and shrubs for total privacy hard to find on this size acreage. Spacious, bright and sunny renovated home located in the center of the lush acres of fenced pasture. Steps away is the beautiful new 3-stall center aisle stable making an ideal small farm for working professionals with horses. Everything is laid out for ease of use and low maintenance. Home has been freshly renovated and has 4 or 5BRs, 3BA, beautiful hardwood floors, lots of space even for his/her home office. Horse facilities are designed to be efficient and low maintenance--horse fencing never needs paint. Stable has mats in stalls and aisles and has tack, feed and wash rooms, hayloft, large storage area. Auto waterers in all 3 fields, run in sheds, everything in immacualate condition. NO homeowner's association, perimeter of trees for total privacy on this level, open and useable parcel, and wonderful location convenient to everything. IDEAL for a foxhunter--minutes from Casanova kennels and short ride to Warrenton, Old Dominion, Bull Run, Rappahannock, Thornton Hill, Orange County, Piedmont, Middleburg, etc. Hello? Does anyone not now realize the 2008 market is very different from 2005? The new house pictured above is a perfect example of the "my neighbors sold their house two years ago for $500,000 so my house, which is nicer, should sell for $600,000" mentality... HUGE MISTAKE IN TODAY'S DECLINING MARKET! Again this year, it's very much a buyers market compared to the sellers market of 2005 and houses that sold in a week or two are languishing on the market. Inventory is at a 37-year high and today's buyer is educated--they will not even look at a home if it's overpriced, much less consider buying it with so much competition. Plain and simple: This home was overpriced--in a month of a heavy advertising campaign, it did not get shown ONE SINGLE TIME. Further, the owner, like so many, failed to heed the dire warnings every day on the news media. "Oh, that doesn't apply to MY house, surely it's special and there is some buyer out there who will pay my price..."
Advertising included picture ads in the Washington Post, realtor magazines such as the free Homes guides, local papers, virtual tour, color brochures, etc. No stone was left unturned--yet no one even looked at it. Home was located in a community of new Ryan homes priced $400,000-799,000 but fully 2/3 of the homes had been sold to investors "off the plans" for considerably less. As the market slowed down or should I say, screeched to a halt for upper end homes further out like this Ryan Homes subdivision 65 miles from Washington D.C., the investors began to dump the homes and flood the market. In a market like this you cannot hope to get one penny over the assessed value because there will always be sellers that HAVE to sell and will price accordingly or even take a loss to do so. People got scared when new homes down the street were selling for less money. Driving into a new, barely finished subdivision and seeing for sale signs on every other house is not conducive to good solid buyers looking for a place to call home. It screams "get out now!" and that's what people were doing. Bottom line: A new home can be a great investment--but only if you are happy living in it for a normal amount of time (say, 3 to 5 years). Don't buy something for the sole reason to flip it in less than a year unless you would be happy living there (and yes, sometimes your dream can come true with a property that's a fabulous investment, also!) If you don't get all the appreciation you were promised then you aren't 'getting robbed' you just didn't luck out like the neighbor down the road who made $100K during a 9 month period in 2005. Buy a house because YOU want to live there--it is not a good investment no matter how great a deal it might be if you won't be happy there. 12+ MIDDLEBURG ACRES, best location, 3 houses! Cash INN! 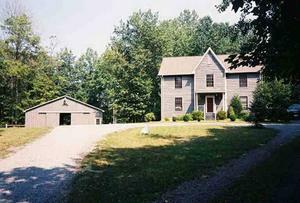 If you're looking for a unique property n the very best area of Middleburg on Foxcroft Road, check this one out. 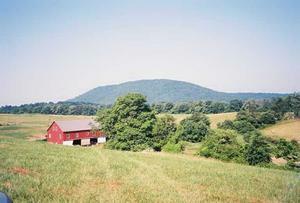 Within a mile of the village, in Western Loudoun's most beautiful area. Sitting at the entrance is the original home place, a stucco shell needing total renovation, with several outbuildings (house has no indoor plumbing). Tucked in the woods are two more houses, live in one & rent the other, or build new and rent both. The second house is a frame, chalet-type 2 bedroom cabin, converted from a barn, and the third house is an adorable circa 1914 stone English basement cottage. It has 3 bedrooms and one bath and beautiful stone work plus original wood floors and many interesting details. The land is 12.21 acres with interesting, rolling topography including beautiful towering hardwoods. Stone gate posts, stone walls, a variety of outbuildings. With some clearing, could be an ideal hunt box (land is all wooded) the Middleburg Hunt is next door. Shown by appointment only--Contact Julie Reardon for details, plat & information. The single most common reason a property fails to sell is overpricing. Hand in hand with overpricing is the other deal-killer, lack of curb appeal--even if it is a fixer upper, there must be SOME appeal to a buyer or they'll never even get past the photo, much less get out of the car when they drive up. The "sellers market" of the early 2000s is a thing of the past. We are in a buyer's market right now with inventory at a 37-year high. In addition, today's buyer is much more educated than in previous years, mainly because of information readily available on the internet. So if you just want to put your property on the market "to see what we can get" without need or motivation to sell, you most definitely need to be aware of the dangers of overpricing, because should your needs change and you find you have to sell, a property that has "sat" on the market gets stigmatized and takes longer to sell. In other words, even if the price is eventually reduced to a more realistic level, people dismiss it as having something wrong with it since it's been on the market so long. "No one else wants that house; I sure don't want to be stuck with it!" Overpricing scares people from looking at property, even or perhaps especially in a buyers market. In a strong sellers' market, overpriced properties did get shown and even sold occasionally because of lack of inventory. But times are different now--there is a lot on the market, a lot that has been on the market for a long time, and buyers tend to only look at properties where motivated sellers do what it takes to get their home sold INCLUDING REDUCING THE PRICE. Buyers won't even consider (look at) something that's overpriced. And therefore an overpriced listing does not get shown. Other than using comparable sales and listings or relaying consumer feedback, no one wants to hear the agent say "I think the price is too high"..oh the tales I could tell of the effect this phrase has on people! But if your property is priced higher than the competition and it's not being shown, this is, in fact, what the buying public is telling you. While it's natural to feel cheated if the neighbor got $50,000 more than your asking price a year ago, the fact is you are NOT being cheated if you don't realize appreciation that was only on paper to begin with. If that money is that important to you, you'll need to rethink selling at this time. And while it's also human nature to think your own home is worth more because of X, Y or Z, you need to be realistic and look at comparable sales and how much the property is being shown. More bad news: If you bought in 2004 or 2005, you bought at the top of a cycle that is on a downslide now. Prices have declined--in some instances lower than what things sold for in 2005 or even 2004. Let's take a moment to talk about curb appeal. Even if the property is a fixer uppper, you should make the same things appeal to lookers: the outside, and the "first impression" or overall picture. Even if you are not a gardener, pay someone to weed and mulch flower beds. Mow the lawn, trim back the bushes, remove any unsightly junk from the "picture", paint the entry door and spruce up the entrance (foyer, hall, room, etc.). If it's a country property, take down any ramshackle fences or paint/tidy up those the buyer will see when they come down the drive. The picture should not be of abject poverty, especially if you want an upscale price! If your property presents a "ghetto" appearance, you will get a lowball offer, if in fact you get one at all. Many buyers won't even get out of the car if the property looks shabby and unkempt. Even if it's the deal of the century! Pictured is a real handyman special that sold twice within 6 months, both times at the top of the market for a premium price--at the time, higher than some liveable houses in the neighborhood on similar acreage. Despite the old abandoned house, it had been neatly mowed and was correctly priced for the area, so it sold in just two weeks. Over 100 people called/viewed it during that time also. Had the price been out of line, enough people saw it to give legitimate feedback. BOTTOM LINE: Price correctly and give it curb appeal! Click on the pictures below, bottom two were overpriced houses that failed to sell, yet the shack sold in 30 days! We have a contract on this property!BRING ALL OFFERS--MUST be sold before winter. Short on downpayment money? Owners will consider a Lease Purchase with 100 percent of rent applied toward down payment. It needs some cosmetic work but the basics are all here: Incredibly charming circa 1850 farmhouse--center hall colonial with standing seam metal roof, big porch, high ceilings, plaster walls and gleaming wood floors; most have been refinished. Main floor master bedroom, two large bedrooms upstairs. Two full baths, one on each level. Many renovations/improvements over past 5 years including new kitchen, furnace, etc. 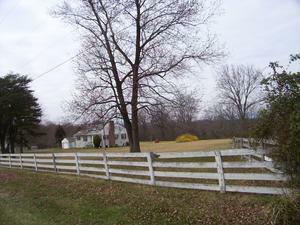 ; though some things remain to be done it's very liveable as is on 5.09 acres of level, lush pasture. Extensive landscaping--just awaits you and your horses to love it as the previous owners did! Horse facilities designed by well known horseman Center aisle, 3 stall stable has paneled tack room, hot water wash rack, run in overhang and hay storage area. Entire property open with new board fencing. Riding ring, round pen and LUSH grass for grazing. All set up for ease of horse care by working professionals. Oak lined stalls have stall mats and open to turn out area as well as to the center aisle. Mostly level land has been seeded, fertilized and well cared for. 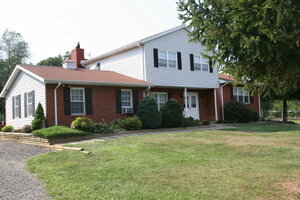 Located near Winchester in scenic area of Frederick County convenient to major highways and all parts of N.Va., Md. and Charles Town race track. Call Julie at 540/364-9480 for an appointment to see this property--it's truly a one of a kind offering. 15-acre horse farm with ring, stable, gracious home north of Culpeper and 15 miles from Warrenton in rapidly growing horsy area. This owner needed a quick sale and I was able to get this property under contract in less than 3 weeeks. Just north of town in the charming community of Lucketts is this freshly renovated very spacious 5BR 3BA home on a private 2.35 acre lot ringed with dogwoods and flowering trees and a swimming pool. In the country, but only a mile from Rt. 15 for easy access to D.C., MD and northern VA.
Home has 3BRs on main level including master suite with private balcony overlooking woods. Two other bedrooms share a full bath. Hardwoods throughout this level, shining and freshly refinished, new kitchen with stainless appliances and Corian type countertops. Lower level has large recreation room w/fireplace (wood stove insert) and two additional bedrooms with another full bath roughed in/easily finished plus a laundry room and utility area. Downstairs flooring is Pergo type laminate. Rec room has another fireplace. RENT..or RENT TO OWN! (Call for details) Rents for $2100/month; requirements deposit plus first month rent. Call for details on rent to own...owner is willing to credit rent toward downpayment! $2500/mo rent for lease/purchase. LOCOCHEE Not just a Middleburg farm...SOLD! OWNER SAYS SELL! you can now STEAL this fabulous estate for $1,999,999. Major price reduction from $2,950,000; Nearly a MILLION dollars! Locochee is not just a farm--it's a lifestyle! Sure, you can spend this amount for a McMansion on 10 acres, but why would you if you could have this once-in-a-lifetime property? Incredible restoration (last year) of period stone home, includes stables, guest house, fencing, and two ponds on 95 gorgeous Middleburg acres. Locochee (pronounced like Locust Shade) has always been a favorite of foxhunters, trail riders and carriage drivers with its rolling open fields, extensive trail network, and abundant wildlife. In fact the name is taken from an old Indian word for meeting place--which it still is today. The Fairfax Hunt still cards meets on the lawn at Locochee. 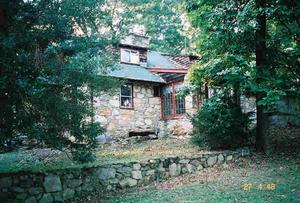 HOME: Absolutely enchanting period stone home built to last in the WWII era. Thick slate roof and exterior stone walls, renovated top to bottom last yr. with no expense spared by current owner. Everything inside is new, from the custom milled woodwork, to the gourmet kitchen with commercial quality appliances and caterers' pantry, to the exposed stone walls and sunroom with 14 windows to capture the views across the pond to the Blue Ridge Mountains. 4BR, including a ground floor master suite, 4.5BA, beautiful stone walled entrance, details too numerous to mention. Grounds/ancillary bldgs: Renovated stone stables (10 stalls) carriage storage, large new utiliity bldg. designed to be easily converted to modern 10-stall center aisle barn. Adorable stucco tenant/guest house very private from main house. 95 acres, about 55 open and board fenced, run in sheds in all fields, 45 acres hardwoods, 1/2 mile frontage on Beaverdam Creek, 2 ponds. SOLD in less than 30 days. These owners wanted the utmost in discretion and we were able to sell the property with no signs, little advertising, and without having it in the MLS system! Description: Lovely restored 1920's farmhouse on 25 acres near Marshall. 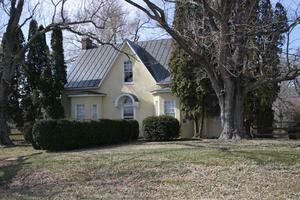 Very nice stucco home with old fashioned front porch and tin roof. Beautiful woodwork inside, high ceilings, cherry cabinets in kitchen. SOLD but see the new listing on this page, call for details! Here it is...just what everyone wants. Ideal 7-acre parcel of land right outside the village of Orlean. Has the shell of an old house (former old Conde school) that could be renovated for a weekend or guest house, and current 4-bedroom county drainfield permit. 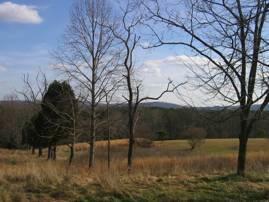 Land is open with pretty views, some trees, an old equipment barn, and high, private topography. No homeowners' association, frontage on two roads, ideal for horses, a small farm, a country home, or an investment, in an area of large farms just 10 minutes from I-66 in northwestern Fauquier County. 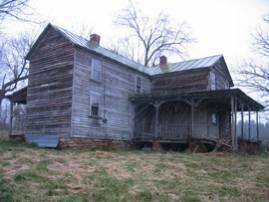 The old house is thought to be approximately 120 years old. It never had indoor plumbing and needs extensive renovation. It is sold strictly as land, house is "as is where is". SOLD and you should see it now!! This property was a great buy, call now if you want yours sold or want one like it. Secluded but not remote, this is a very special weekend or fulltime residence built 25 years ago by its only owners to blend into the surroundings and take advantage of sublime mountain views. Two houses--main house is a one level home built of wood from an old barn with random width hardwood floors, 2 fireplaces, 3BR and 2BA on one level. Property is located on a quiet country lane near Massies Corner--just 3 miles east of little Washington and 3 miles from Flint Hill. 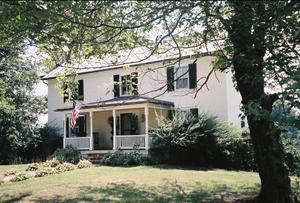 31+ acres in 3 recorded parcels and includes a darling 1820s farmhouse that was the original homestead. This house is the Virginia farmhouse style of 2 over 2, with 2BR upstairs, and located on a separate parcel from the main house. The land is mostly wooded, but there is enough open land for horses. The Rappahannock and Old Dominion foxhunts meet nearby. 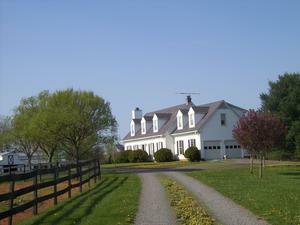 Ideal small, professional horse farm JUST 35 MINUTES FROM DOWNTOWN D.C.! 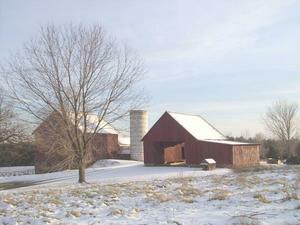 Two barns, total of 8 stalls, fenced, cross fenced, riding ring, on 6.5 lush acres. Located in a "horse friendly" community of small farms near the Manassas Battlefield just 5 minutes from I-66 yet a world away. 1981 colonial awaits your decorator's touch; all major systems in good condition--new roof, deck, exterior painted, and a decorating allowance is included! 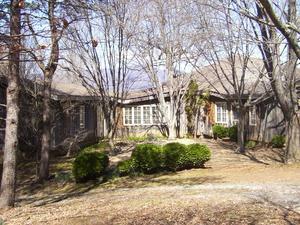 The home has 4BRs, 2 full baths upstairs, a powder room on the main level. There are two fireplaces--one in the family room and another one in the huge, unfinished basement which also has a rough in for a 3rd full bath. You will love Catharpin, one of the best kept secrets in Western Prince William County. Well landscaped, with views to the Bull Run Mountains. Totally private, restored 1920s farm house with front porch & standing seam metal roof on a quiet country lane east of Middleburg in the Gilberts Corner area, but just 20 minutes from Dulles. Adorable Virginia farmhouse has been totally renovated. It has gleaming hardwood floors, tiled kitchen, new central air and is in excellent condition. 2 or 3 bedrooms, ground floor master suite, 2 full baths, library, new kitchen, beautifully landscaped, and black bottom swimming pool! 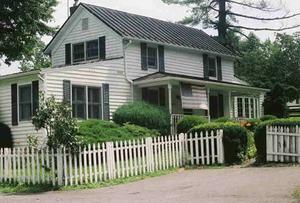 The home is white clapboard, with a standing seam metal roof to enjoy rainy nights. There is a covered front porch and even a white picket fence around it. Beautiful perennial gardens, black bottom pool and the utmost in privacy. Love horses? Watch them graze in the 10 acres of fenced fields surrounding this house. Stable and kennel complete the offering which includes extra building site. 40710 Red Hill Rd., off Watson Rd. in Eastern Loudoun County. This owner was thrilled to have several full price offers from which to choose after less than 2 months on the market. The property sold for full price in October of 2002. Development opportunity or live in it and sell laster. 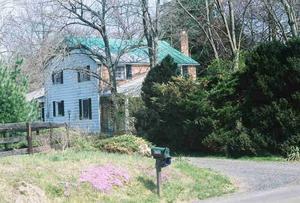 1940s bungalow on 5 acres with frontage on 3 roads in growth area of Western Loudoun. Sewer is available (line runs across front of property). Preliminary studies indicate easy potential for 7 lots. Winter mountain views could be year round if rear of property cleared. Home is well cared for, more spacious inside than it appears. 3 good sized bedrooms, tiled bath, second bath downstairs in large unfinished basement. Roof and furnace recently replaced. Detached garage & brick barbecue. 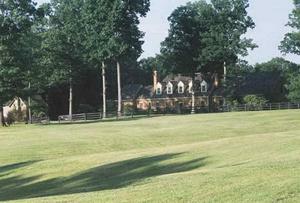 Could make an ideal hunt box--surrounded by large farms in foxhunting area and near Middleburg Training Track.